A Market-Frankford subway train at 46th Street Station. A Market-Frankford Line train traveling eastbound on Saturday morning has derailed, causing evacuations and delays to SEPTA's service, according to agency spokesperson Andrew Busch. The incident happened around 11 a.m. when the train experienced equipment issues that caused it to partially come off of the tracks when crossing over from the eastbound to the westbound side. It was traveling at a "very slow" speed, Busch said. About 30 people who were aboard the train were evacuated. The number of injuries is unclear, though one person was treated at the scene for heat exhaustion, Busch said. No serious injuries have been reported. SEPTA is operating an east and westbound shuttle service between the 8th Street and Berks stations and warns travelers to plan ahead. 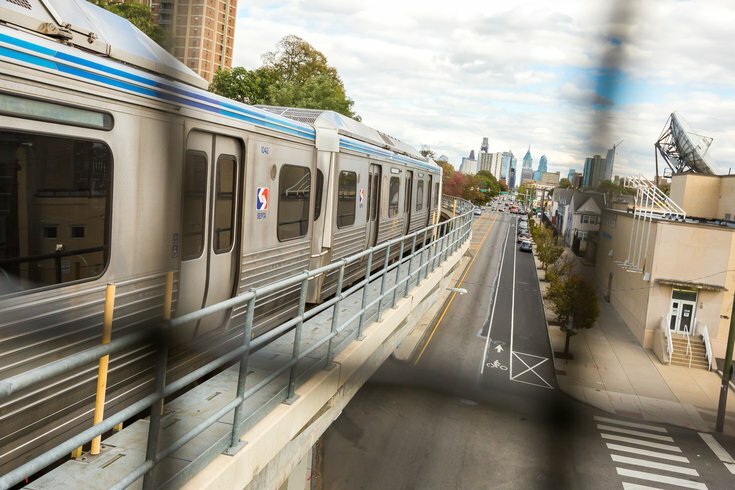 It's unclear when the Market-Frankford Line will resume regular service. Busch encourages passengers to check SEPTA's Twitter account, @SEPTA_SOCIAL, for updates.